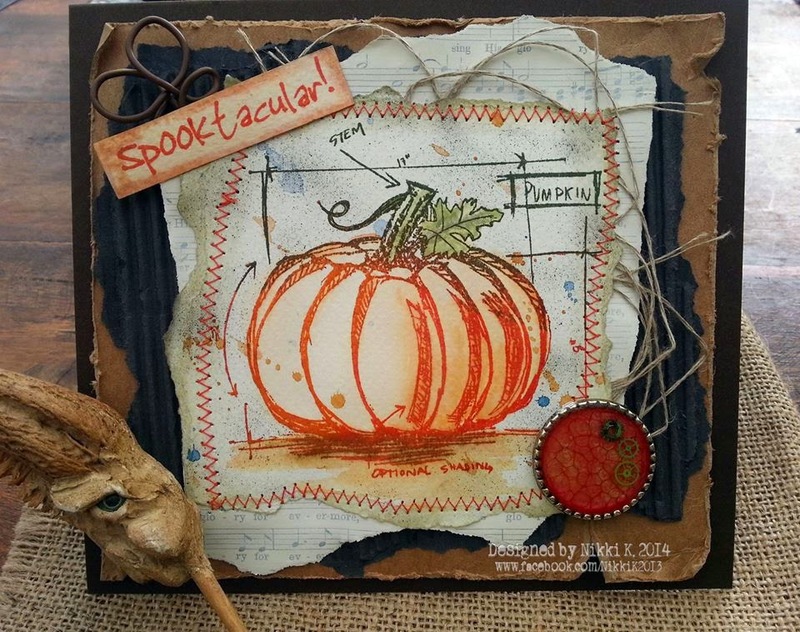 Take It, Make It October Challenge: The Winner! 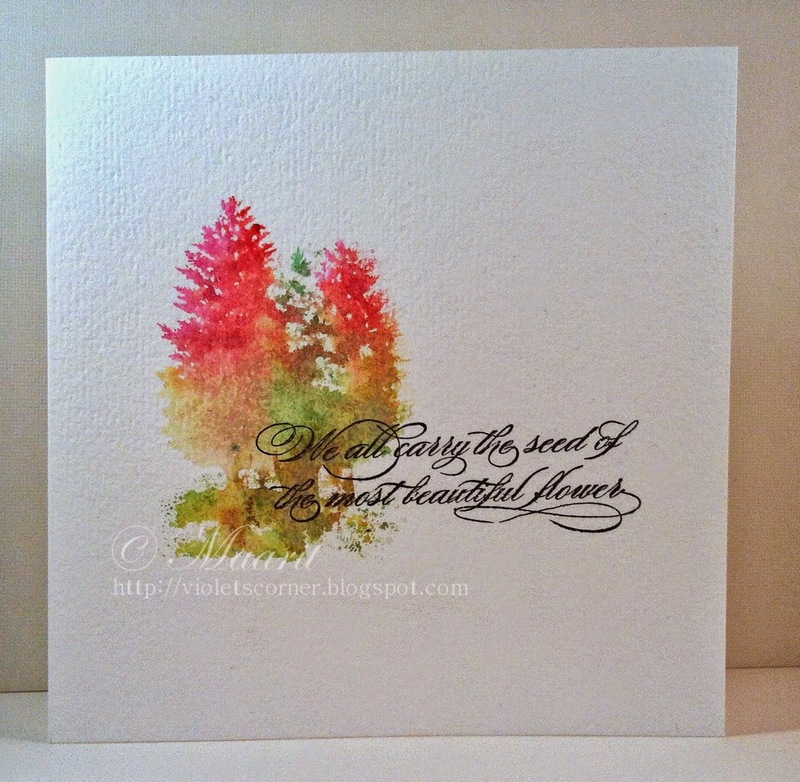 Thank you so much to all those who played along with our October challenge - Multicoloured Stamping! We were thrilled to see so many gorgeous creations, so much fabulous colour! 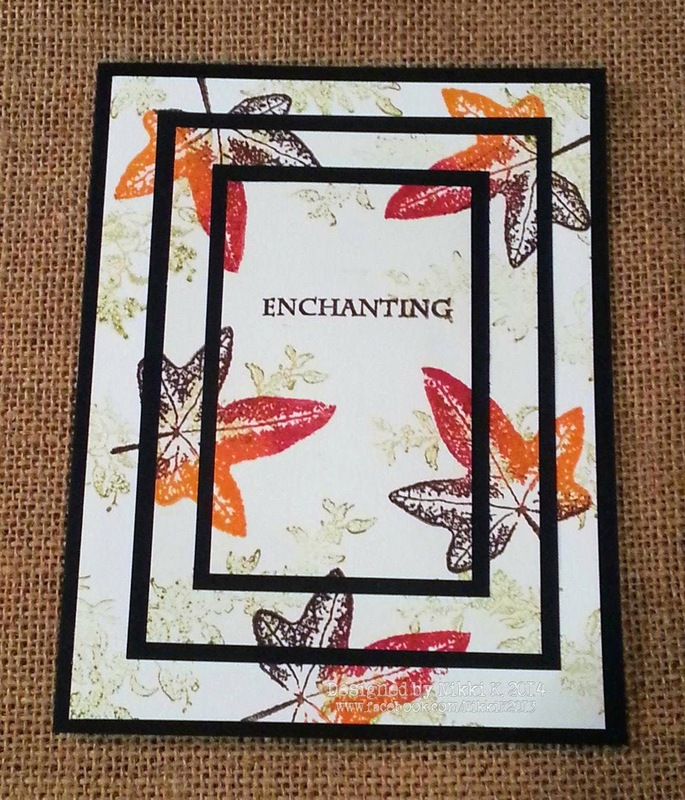 We loved the wonderful autumnal tones, and the perfect placement of the sentiment! A difficult decision as to which gorgeous character to choose, I think! A huge THANK YOU to all those of you that took part in the October challenge! Don't forget, Take It, Make It challenges are now monthly! The first Friday of every month will see the start of the next challenge.... so check back here next Friday, 7th November to see which technique is next! Hi everyone, I’m Sara! 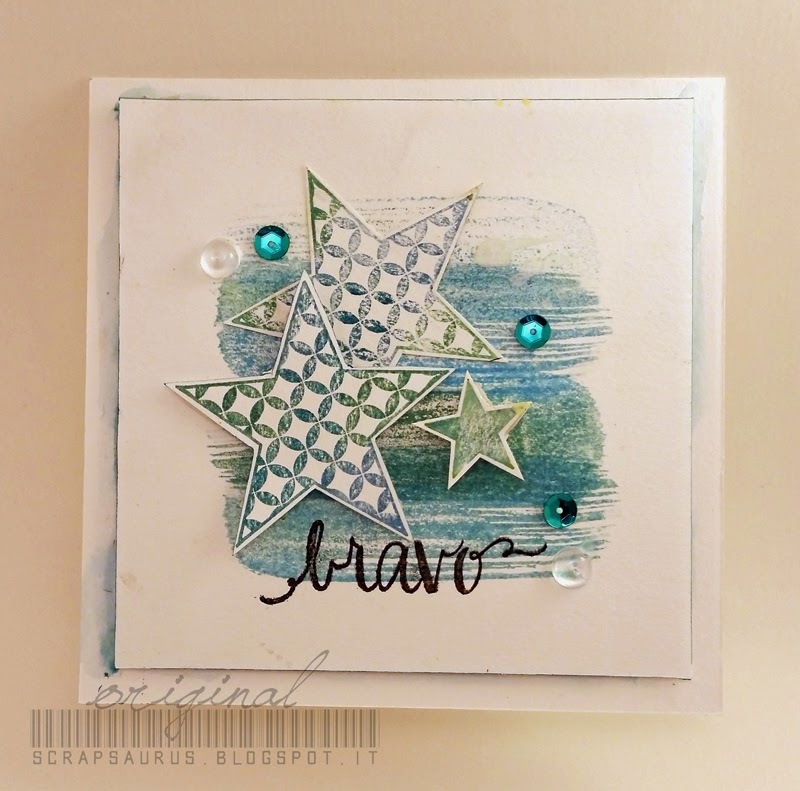 I’m an American stamper currently living in the Polish seaside town of Sopot. 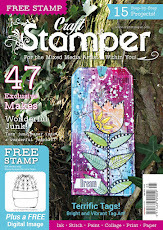 I’ve been writing for Craft Stamper for several years now and I’m thrilled because it’s long been one of my favourite magazines. Designing is my full-time job. In addition to writing for magazines, I also teach online workshops, write books and film crafting DVDs. When I’m not crafting, I’m chasing after my small daughter, who is herself a crafter-in-training and currently has her eye on my stash of embossing powders. 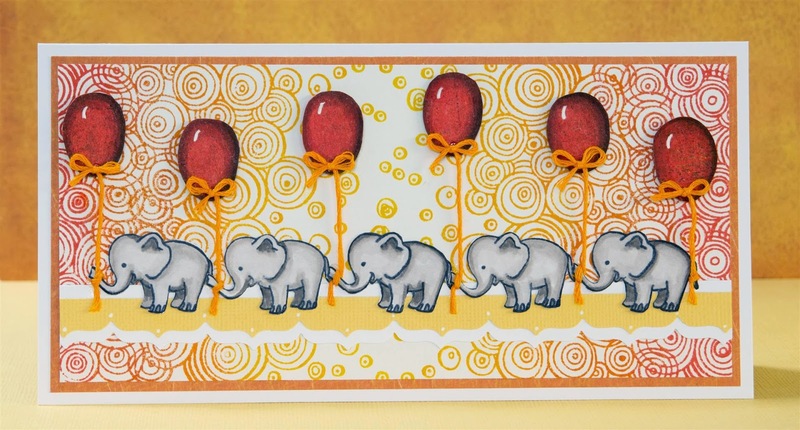 I started stamping ages ago—I think it must be (gasp!) almost 20 years ago. It started with a little elf stamp that I bought to make Christmas gift tags. Soon I had enough stamping supplies to fill a shoebox …and it rapidly grew from there. I remember hurrying home from work each day because I was so looking forward to stamping and colouring. Imagine—that fun and excitement is still with me, even after all these years! I’ve always been a crafter, since my mother taught me sewing, cross-stitch and more…and I spent most of my childhood drawing and crafting. (I must have made a hundred clothespin dolls!) When I went to high school and university, I stopped making things and got my creative outlet through writing instead. 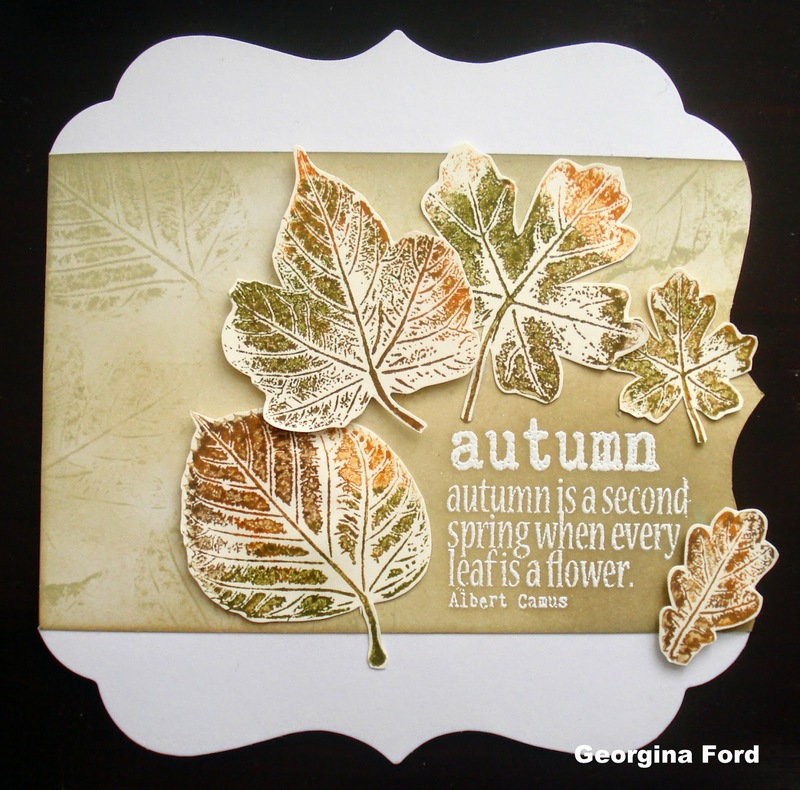 Years later, I learned about rubber stamping while I worked for Hot Off The Press, an American papercrafting company. And just like that, I was back to crafting! 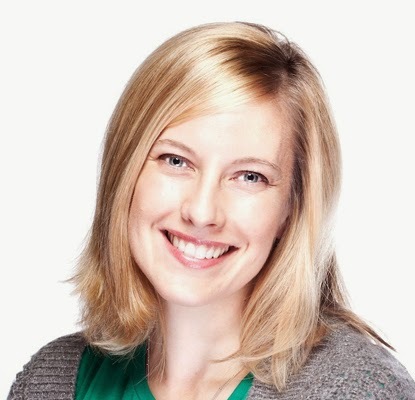 After my family relocated to Europe in 2007, I decided to start my own design business. 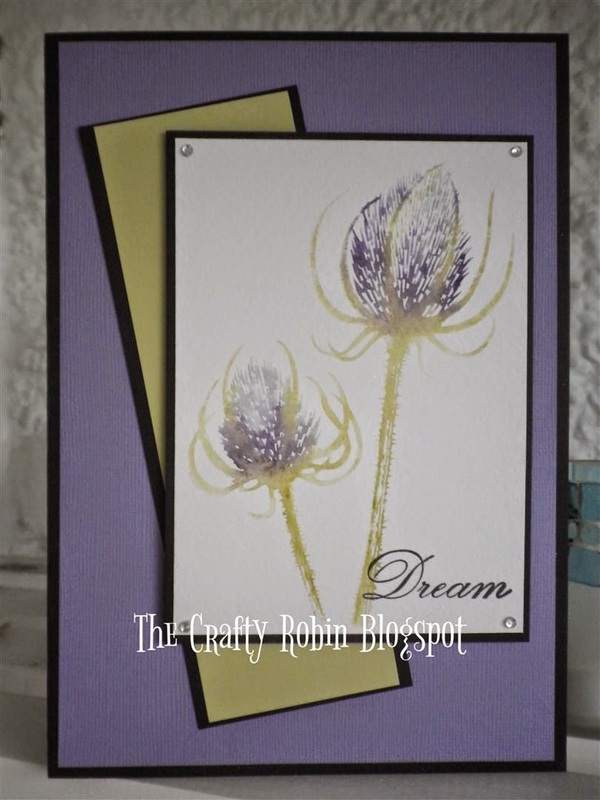 Now I host a weekly You Tube show, design Eclectica stamps for PaperArtsy and I’ve written a book (20 to Make Washi Tape Cards) and a DVD (Mixed Media Made Easy). It’s a great way to stay in the crafting world while still allowing a flexible schedule living abroad and caring for a preschooler. 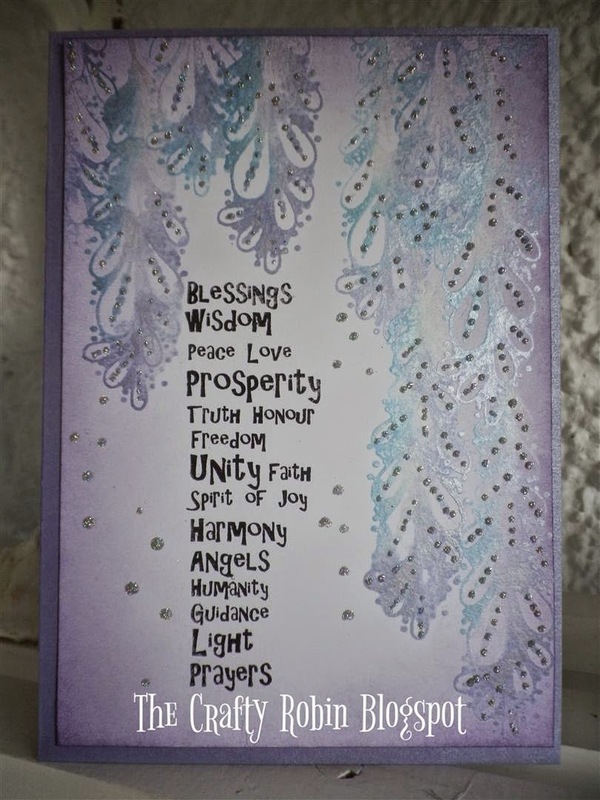 I love using embossing powders for backgrounds. 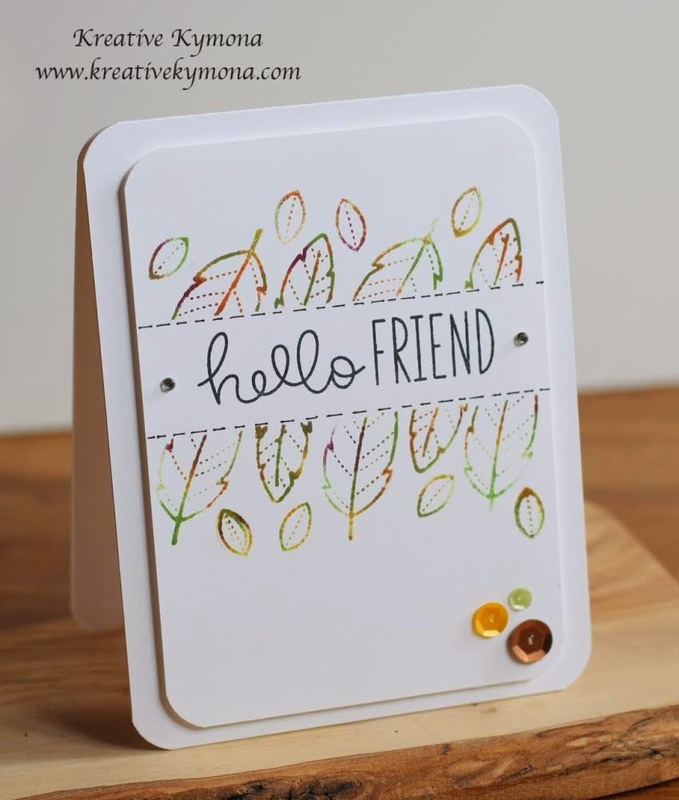 For so many years, I only used embossing powder to emboss a single stamped image….but lately I’ve realized you can use them to create really amazing backgrounds as well! Do you have a signature style or favourite technique? I love techniques—nothing gets me happier than digging around testing things out. That said, my general design style is pretty clean and simple. Of course I love my rubber stamps but bubble wrap and coffee cup java jackets are great for stamping texture as well! Where do you look for inspiration before you start on a project? Most of my projects are for assignments, so I usually have parameters that help focus my inspiration: Either a specific technique, or certain product or colour combination. 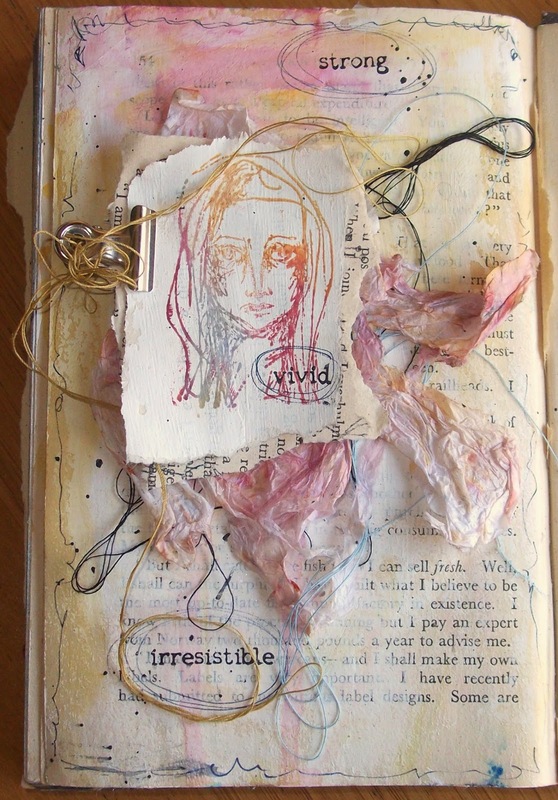 Limits are actually inspiring for me—I find I have an easier time creating within boundaries than if I have access to all the supplies in the world. 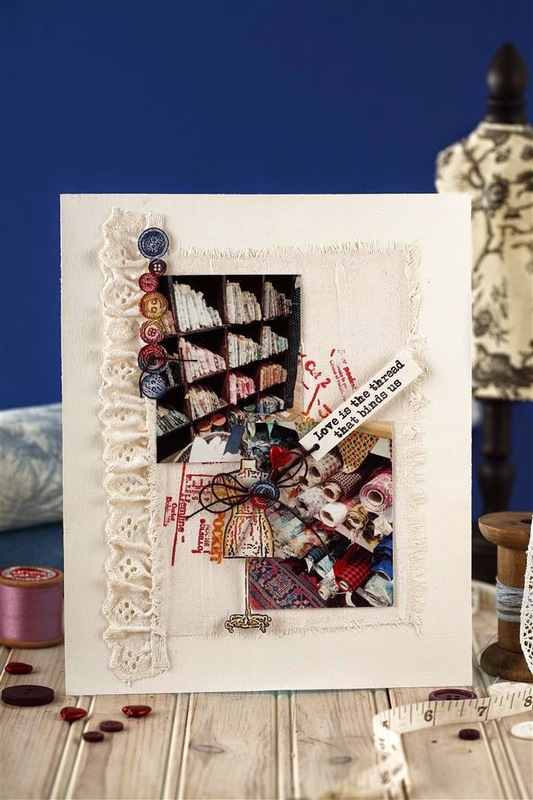 For personal projects that are gifts or cards, I always take inspiration from the recipient’s taste, style and preferences. 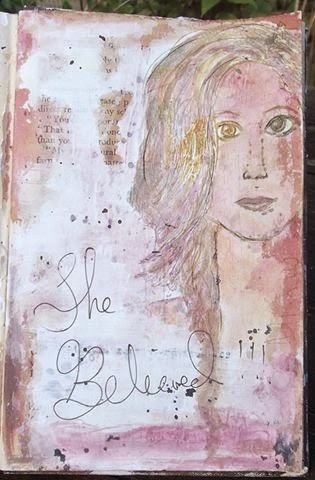 Stamp with ink, stamp with paint…this is where I really love to experiment and play with a combination of techniques. Thank you for joining me! If you’d like to learn more about any of the projects shown here, the links will take you straight to them. 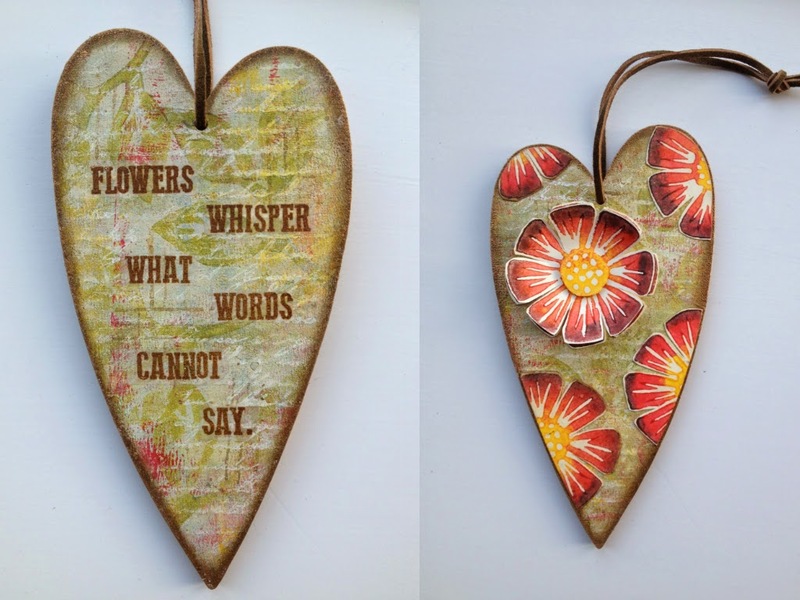 And if you get a chance, please pop by my You Tubechannel for a weekly dose of papercrafting videos! 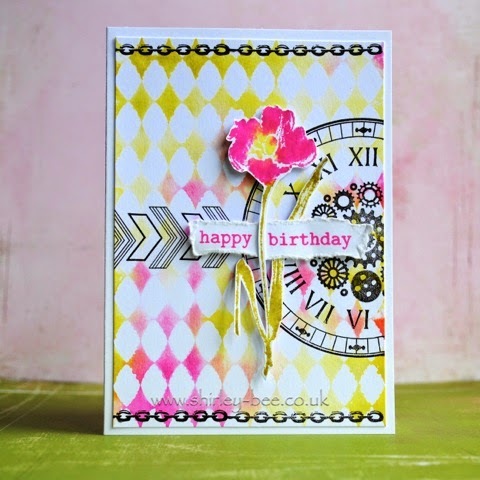 Thank you to the Craft Stamper team for inviting me to be a part of the blog today! 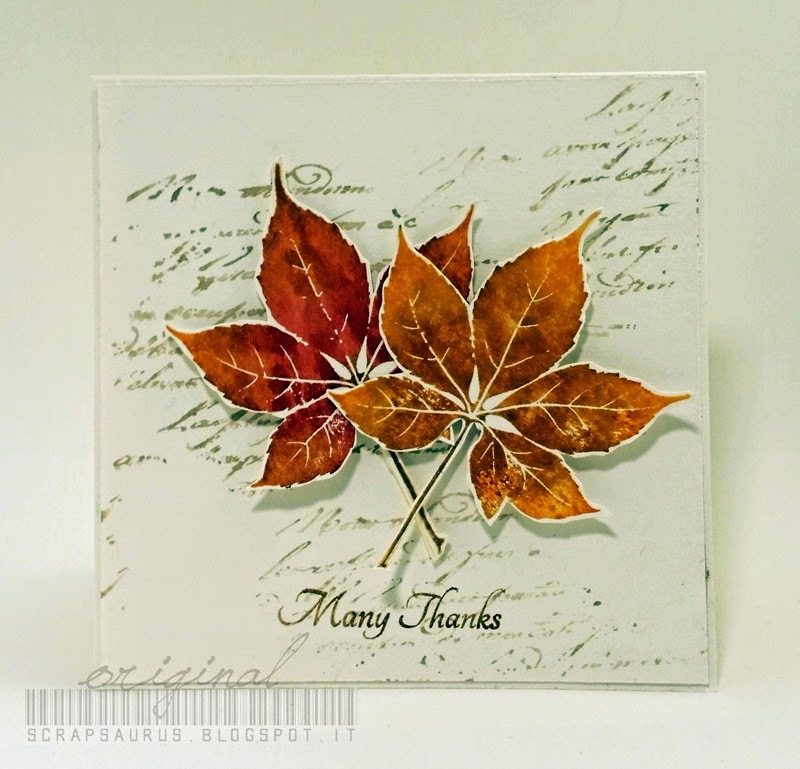 Thanks to Sara for sharing some of her stamping story - we hope you enjoyed finding out a bit more about her! Submit your work for Ready, Set, Stamp! 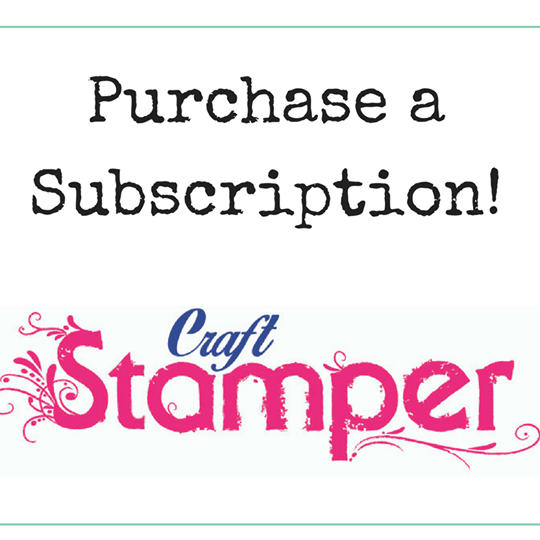 We are looking for submissions for our Ready, Set, Stamp feature on the following themes for the February and March issues of Craft Stamper. If you've always wanted to see YOUR card in print, now is your chance!!! 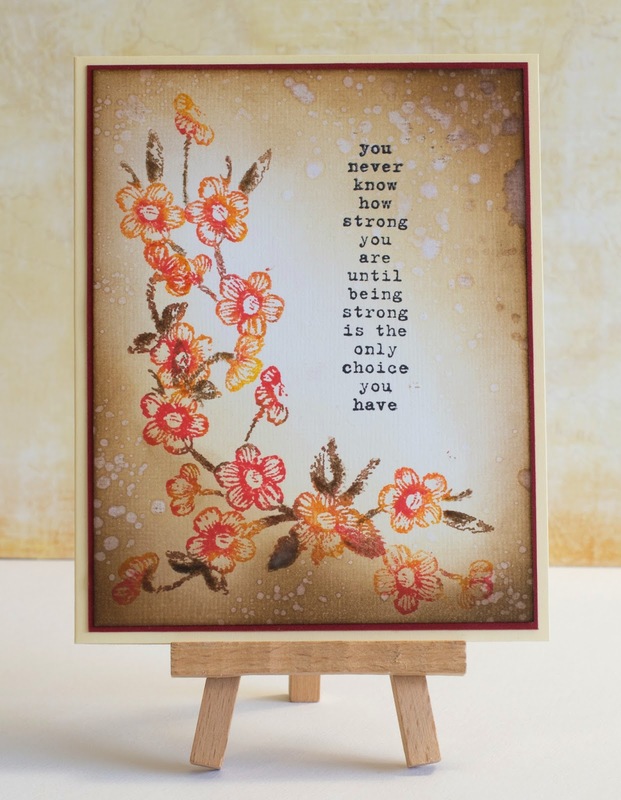 Cross My Heart – stamped, punched or die-cut, your design should include at least one heart! Using violet, lilac and primrose yellow. Quit Bugging Me! – creepy crawlies in all their glorious forms; worms, bees, ladybirds, ants, dragonflies etc. Try to avoid single butterfly images please (i.e. if you include a butterfly use another insect too). Using orange, bubblegum pink and bright blue. 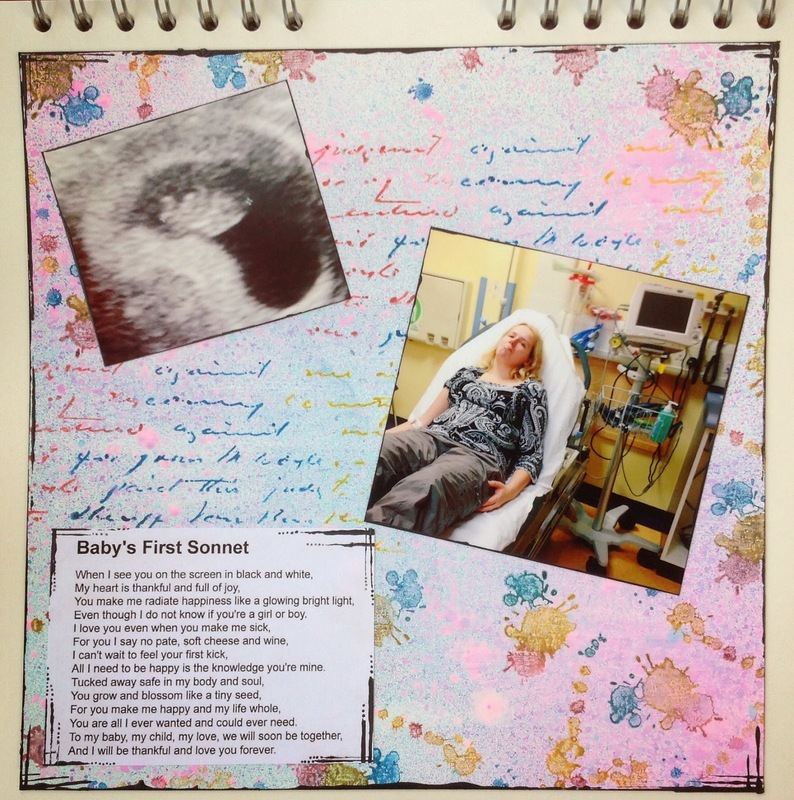 Take It Make It October Challenge: Inspiration! 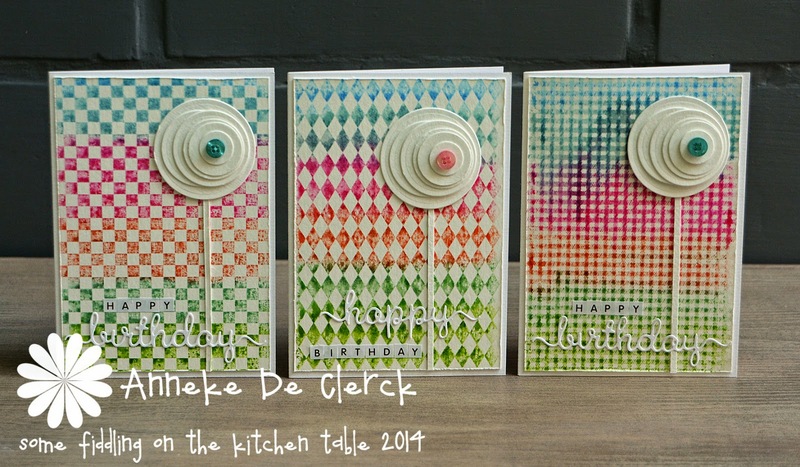 Our current Take It, Make It challenge is all about multi coloured stamping..... Have you tried it yet? We would love you to have a go at stamping an image in lots of colours, then join in with the challenge! The DT have been having loads of fun creating some more more projects for you to feast your eyes upon, brace yourself, there is rather a lot of eye candy on show! There is also the chance to be published, AND a guest DT slot up for grabs....so why not get out those inks or paints and get stamping in multicolour? 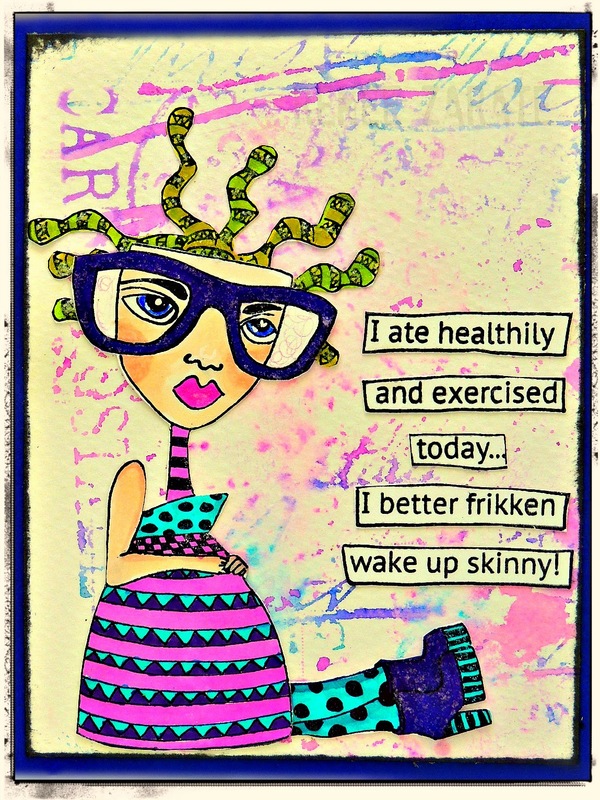 Take It Make It Challenge: October! The brand new October Challenge! 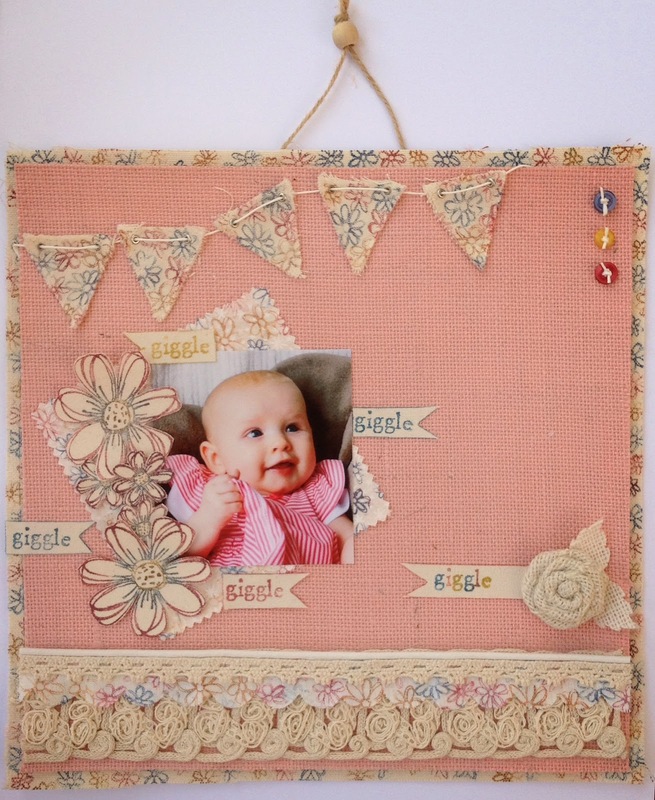 We loved seeing all your tissue stamped projects last month, we can't wait to see what you come up with this time! All our challenges have a prize on offer, and this is no different! 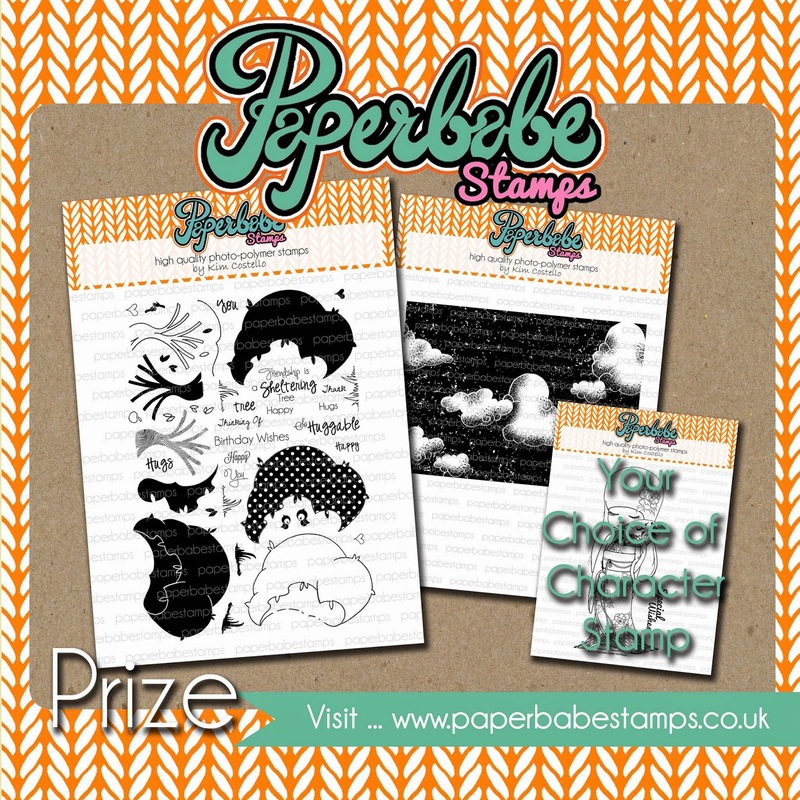 For the October challenge, we are delighted to be sponsored by Paperbabe Stamps! 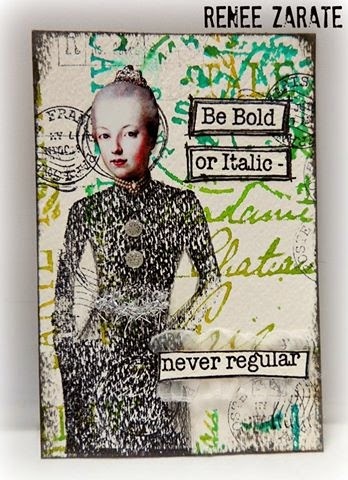 Owned by Craft Stamper DT member Kim Costello, Paperbabe stamps are a wonderfully eclectic mix of designs, from gorgeous backgrounds and quirky figures to doll face stamps, indispensable when it comes to creating our own whimsical faces!The prize for the October challenge? You will receive the tree hug set, the cumulus background set and a character stamp of your choice! How fab! 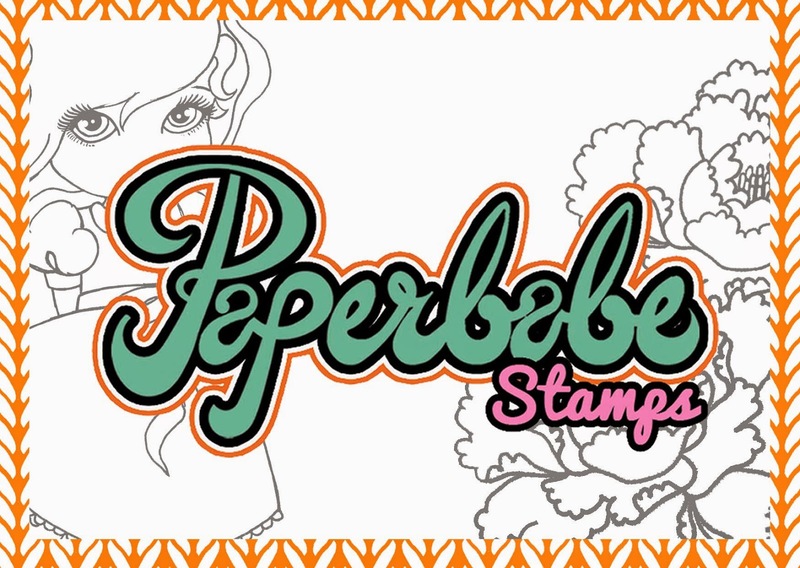 So, to recap....loads of Paperbabe stamps, Publication AND a Guest DT spot? Sounds good to me! Phew! After all that, it's time for the Challenge details! After all, that's the name of the challenge- Take a technique, and Make it your own! This old school, much loved technique is simple but oh so effective! 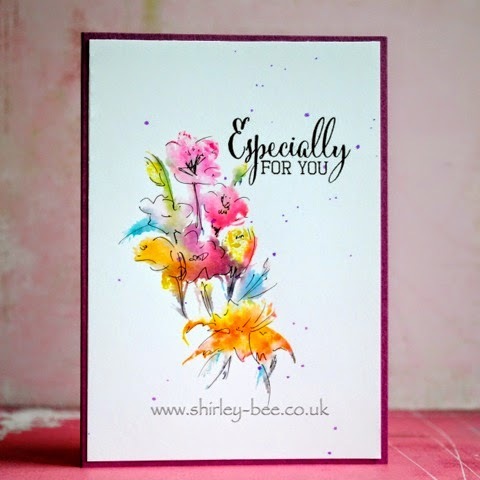 Just colour your stamp with more than one shade before stamping with it, and the resulting image will be a multicoloured delight! 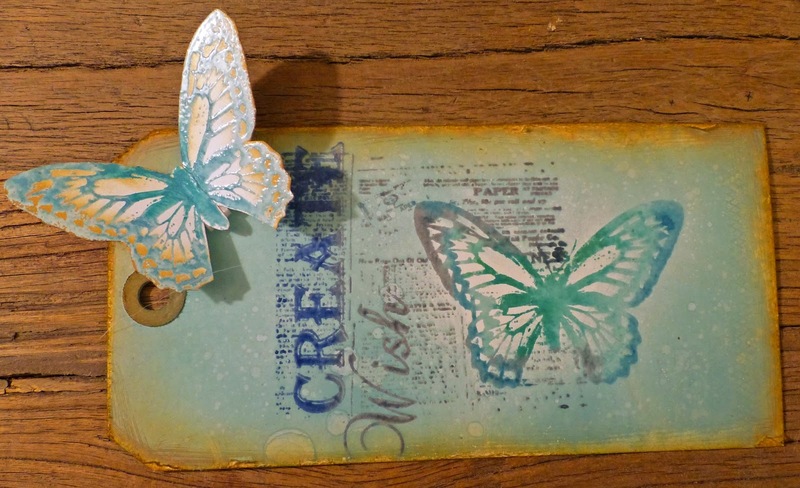 Use ink pads, markers or even paint to colour the stamp, and then simply stamp away! 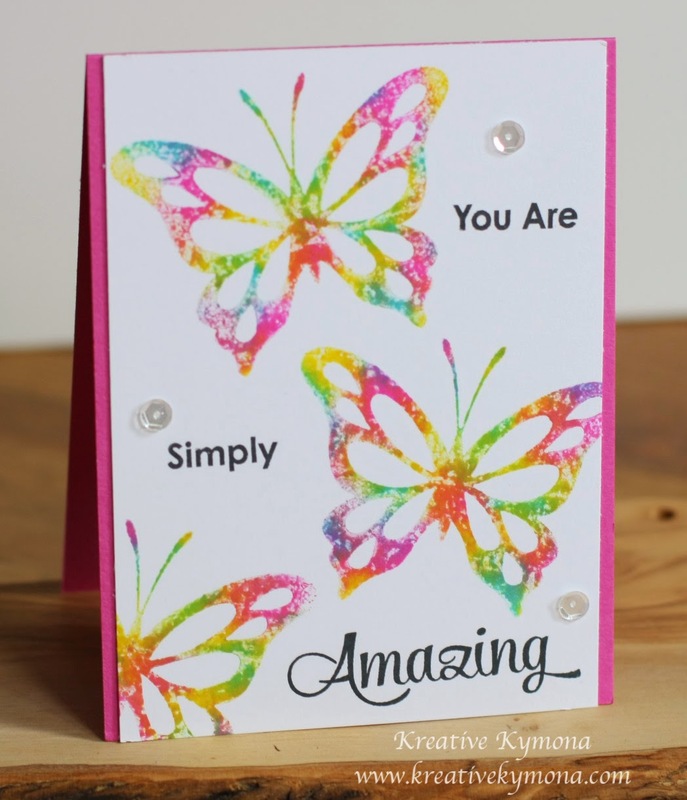 Along with some of the regular Craft Stamper DT, the Take It , Make It DT have created some fabulous art using this multicoloured stamping technique! If you click on the artists name, it will take you to their blogs, where there may well be loads more pics of these gorgeous creations. All entries must feature the Multicoloured Stamping technique. You may enter more than once, each entry MUST have it's own blog post and fulfill all rules. Please do not blog more than one finished example of the technique in a single blog post. We only want to see the project you are submitting for the challenge! The November 2014 challenge will be announced here on Friday 7th November 2014, at 9am.